In it’s role as innovator, Tabaknatie keeps laying down the foundations for the future of the Port of Antwerp. The future is digital. Data streaming will claim itself a central role in the transport processes. To guarantee the best possible solutions, now and in the future, Tabaknatie has started a creative partnership with Ixolution. In order to keep the transport flow as smooth as possible, a constant live data stream will become obligatory. Complete digitization of the processes is inevitable. Transporters and their customers want to be able to monitor and track the flow continuously. It’s very clear that digitalization of the transport processes will be required in order to maintain a clear view of the supply chain. 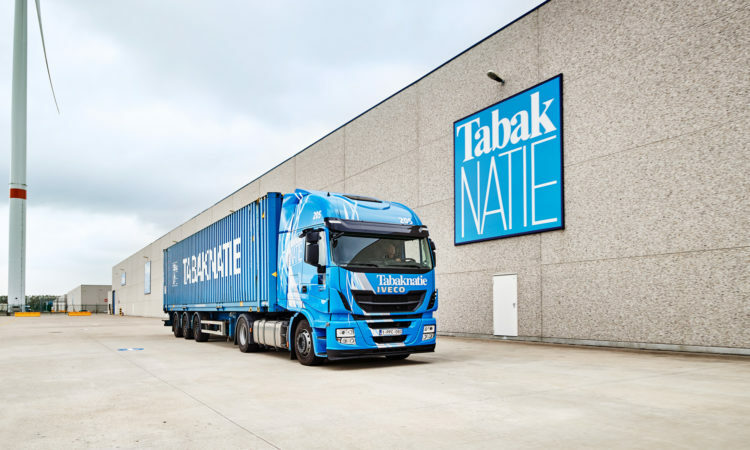 As innovative logistics architect, in the Port of Antwerp, Tabaknatie jumps on board the train of digitization. Tabaknatie, being an important player on the global market, provides solutions for every logistics demand, however divergent they might be. Efficiency is a key factor in all of this. Tabaknatie enables this using a combination of a well-developed Belgian transport system and the expansive European road network. On top of this, the entire logistics chain is supported by an innovatively developed Transport Management System (TMS), IXSuite by Ixolution. To further assist in making the building blocks of the future of the Port of Antwerp, Tabaknatie has started up a number of projects. One of these is the development and subsequent application of a new, more efficient TMS system. In order to guarantee the best possible results, Tabaknatie has initiated a partnership with the European leader in the development of transport software; Ixolution. The collaboration with Ixolution is self-evident. Ixolution offers intelligent IT-solutions for transporters and logistics providers. Based on consistent transport management and intermodal solutions, their goal is to make transport processes as efficient as possible. There is no doubt that the productive co-operation between these two innovators will generate constructive and effective solutions. The Port of Antwerp’s future is not tomorrow. It is today. Now, more than ever, it’s Tabaknatie’s duty to be the herald of the digitization of transport processes. It allows Tabaknatie to assist further in the development and expansion of the Port of Antwerp.